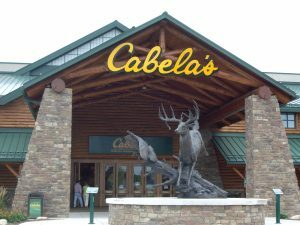 Cabela’s (NYSE:CAB) has received notice that its planned tie up with Bass Pro Group is set to face additional scrutiny from federal regulators. The U.S. Federal Trade Commission has sent a second request for information to the company regarding the deal. Bass Pro Shops also received a request for additional information. Antitrust officials are attempting to determine whether the merger will harm competition. The transaction would unite two of America’s largest outdoors retailers into a national chain with more than 180 locations and about 40,000 workers. The combined company would control of more than 20 percent of the U.S. market for hunting, camping, and fishing equipment, worth roughly $50 billion. After the news broke, Cabela’s suffered its worst stock decline in more than a year. The stock fell about 7 percent to $57.36 in premarket trading in New York on Friday. Prior to the fall, Cabela’s had been up 32 percent this year. Second requests are routine and don’t necessarily signal subsequent challenges to a deal. Cabela’s said it still expects the Bass Pro deal to close in the first half of 2017. Bass Pro Group agreed to pay about $5.5 billion to acquire Cabela’s. The deal promised Cabela’s shareholders an almost 20 percent premium when it was announced in October. According to a regulatory filing, the company also expects a delay in the completion of a separate deal to sell its credit-card business to Capital One Financial Corp. Under the terms of the agreement, Capital One agreed to purchase $5.2 billion in credit card receivables and other assets, as well as assume about $5 billion in associated funding liabilities. Capital One no longer thinks the Office of the Comptroller of the Currency will approve the deal in the first half of next year. The credit-card transaction is still expected to clear, but probably not before Oct. 3, which is the date after which any party in the deal has the right to terminate agreements.